Salem, MO. 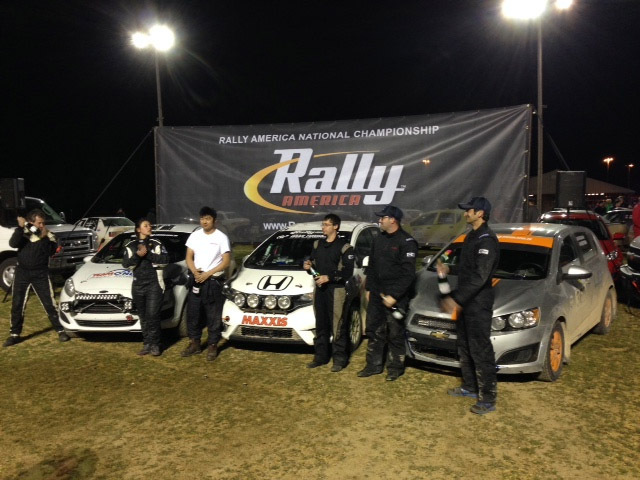 (March 18-19th, 2016) – As the second round of the 2016 Rally America National Championship approached, the weather radar was clear and the entry list long. 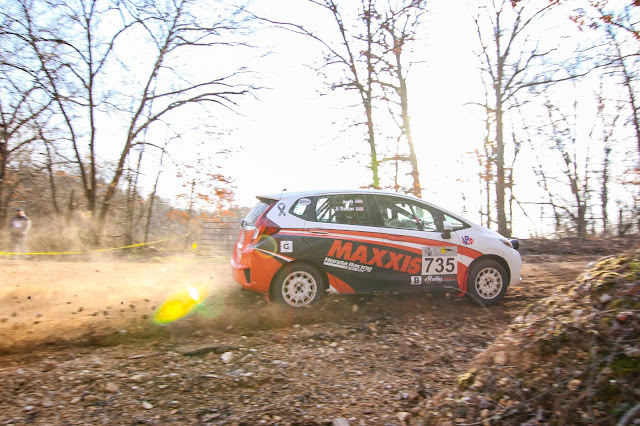 Perfect conditions for HPD and Maxxis to once again showcase the 2015 B-Spec Honda Fit! The stage roads of 100 Acre Wood Rally 2016 would see five B-Spec competitors challenge for championship points, the largest field to date. Alongside the HPD/Maxxis Fit, a Ford Fiesta, Toyota Yaris, and Chevy Sonic would be joined by the Rally America Star Car, a 2009 Honda Fit piloted by RealTime Racing drivers Peter Cunningham and Ryan Eversley! “I’m very happy to see the size of the B-Spec field at this event.” said HPD/Maxxis driver Jordan Guitar at Park Expose on Day 1. “It is shaping up to be a great event, especially with the weather looking spectacular. 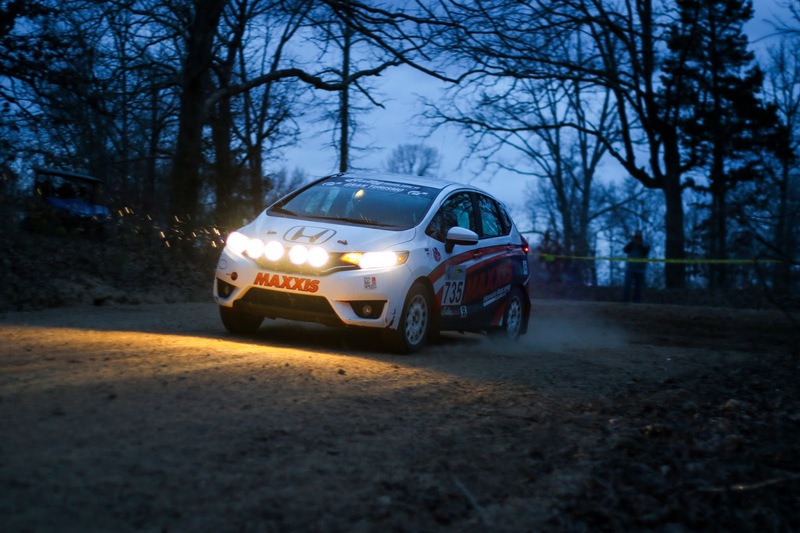 We are very excited to start the rally!” The roads of 100AW are famously fast, flowing, and mixed with tight and technical sections. Day One would consist of five stages, a service, and then four more stages that would carry into the night. As the cars drove into the night, the team of Cunningham and Eversley started to pull out some time on the duo of Guitar and William Jang. The rain started at just over a drizzle and by the last stage was coming down harder. 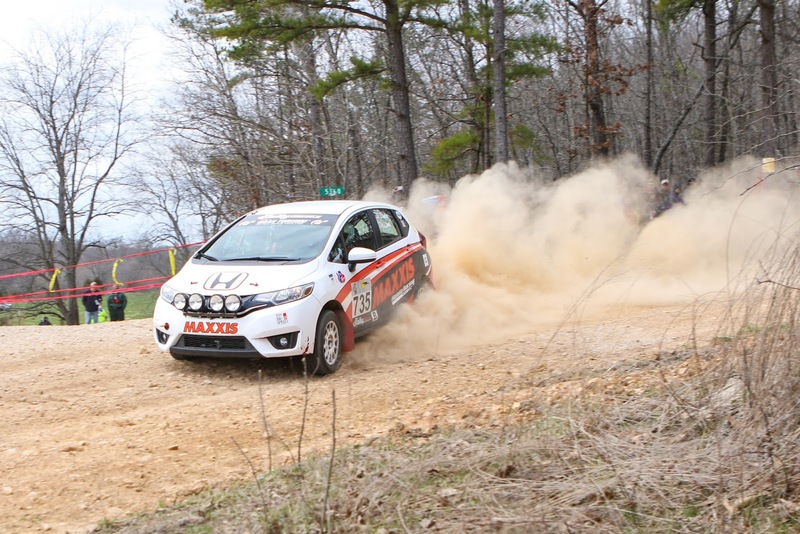 As the teams came into service, the 2015 Fit was sitting in second place, some 40 seconds behind the 2009 Fit. The roads of 100AW can be a trying place for rally cars, and this year was no exception. Two B-Spec cars would suffer damage which would eventually lead to DNF’s (Did Not Finish), joining them with 19 other competitors by the end of the two-day event. 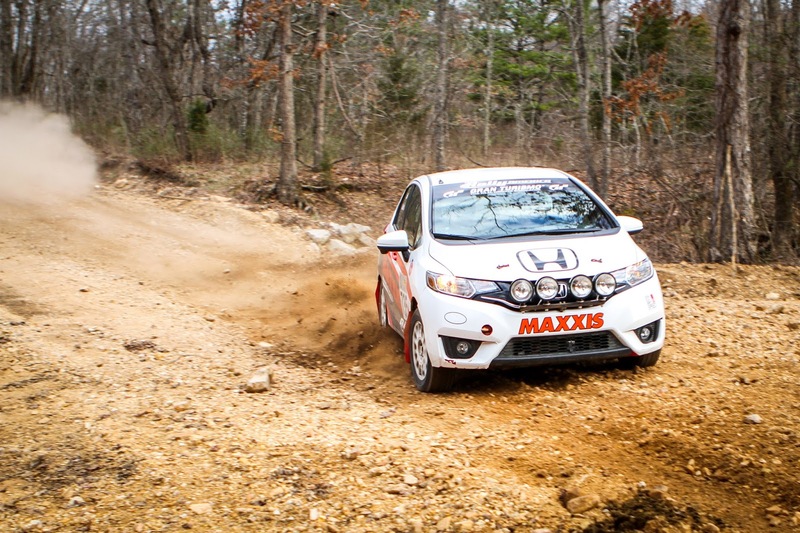 Look for the HPD/Maxxis B-Spec Fit to continue its hunt for the championship in April, at Oregon Trail Rally in Portland, OR.